Watch your mailbox for the Winter/Spring issue of the Western Alumni Magazine! 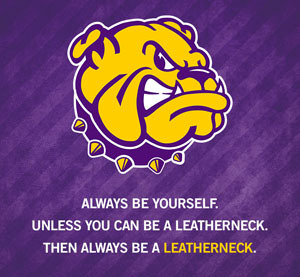 Calling all Alumni: Give a shout-out to Western Illinois University because ... once a Leatherneck, always a Leatherneck. 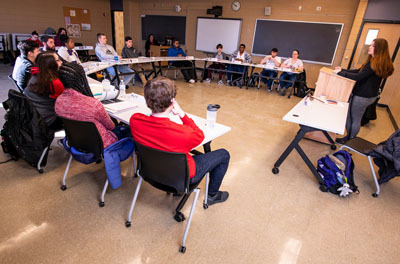 Classroom remodeled thanks to a donation by a political science alumnus Dale Johnson '71. 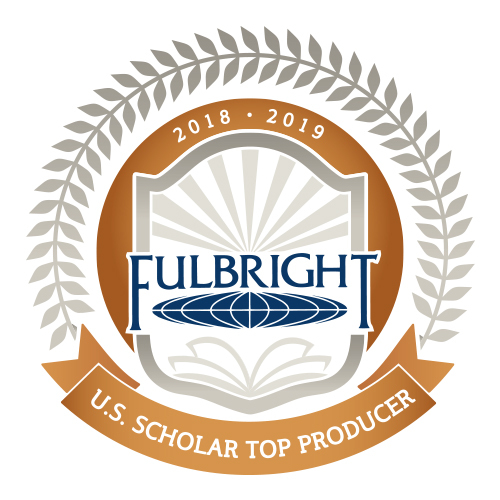 Western named top producer of Fulbright U.S. Scholars. 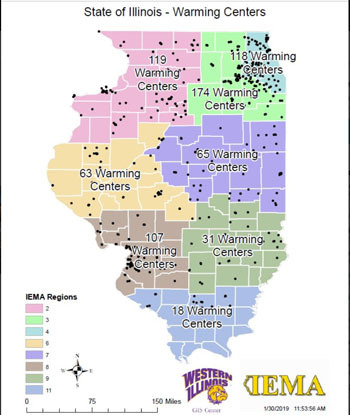 WIU GIS Center, students help with mapping of state's warming centers during polar vortex. 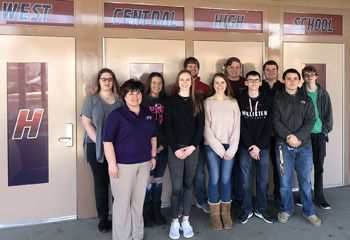 WIU Dual Enrollment Program gives area high school students head start on-site, online and on WIU campuses. 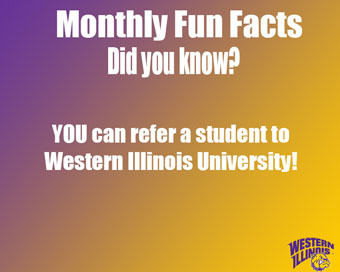 Do you know any prospective students who would benefit from the same high-quality education you received? 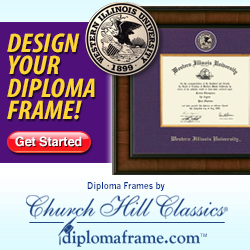 Encourage them to APPLY. 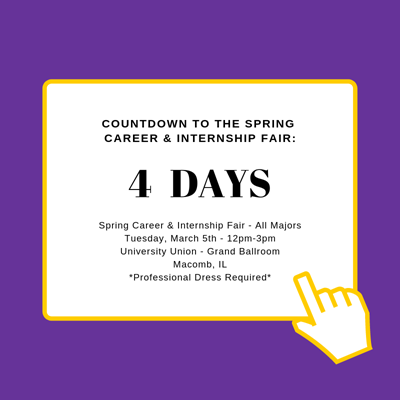 Mark your calendars: Spring Career & Internship Fair and Grad School Expo Tuesday, March 5 from 12-3 p.m. Students and alumni are invited, as well as alumni and others who are recruiting for their companies. 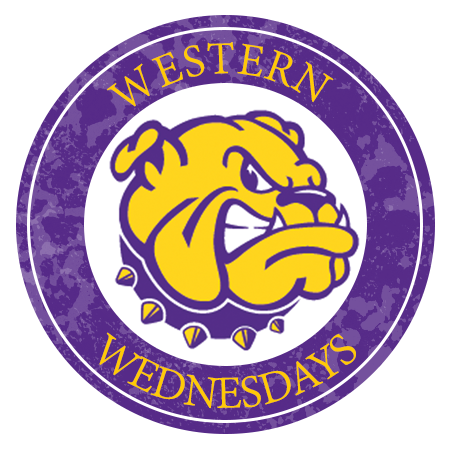 SAVE THE DATE: The Western Challenge and Purple & Gold Day April 24!